The Traf pub or Criterion Hotel stand proudly on the junction of the Princes Highway and Contingent Street in the centre of Trafalgar. 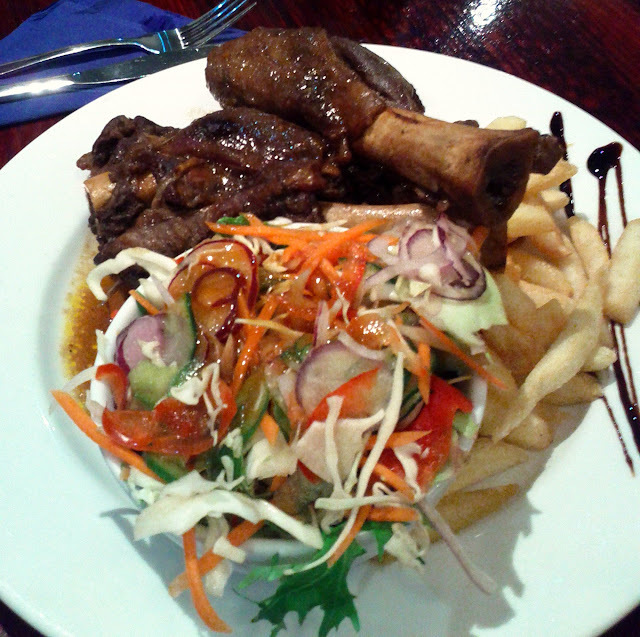 The front bars are dominated by TAB and pokies, and there is also a large back Bistro area, which has always been busy when we've visited on weekend evenings, bookings are recommended! The menu is fairly broad, with more than just traditional pub food, with pizza's, plenty of seafood and pasta as well as plenty of steaks and other carnivorous options. 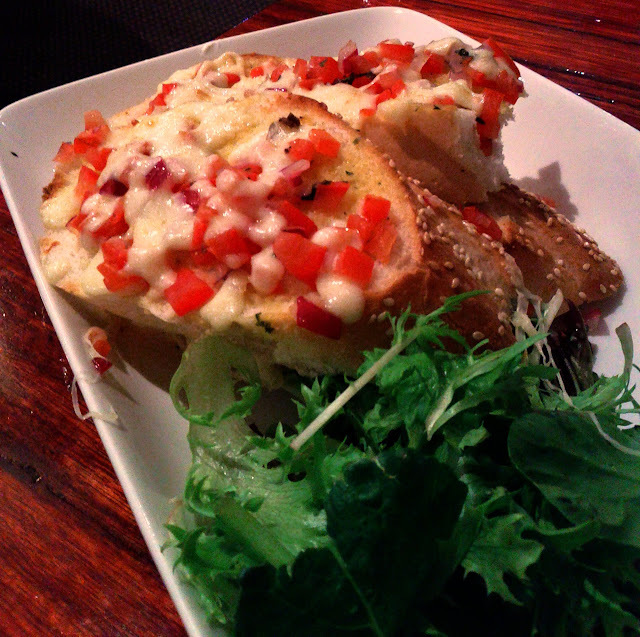 We shared some Bruschetta to start, it was a fairly country Aussie interpretation of the Italian dish, with I think some tasty cheese on top. 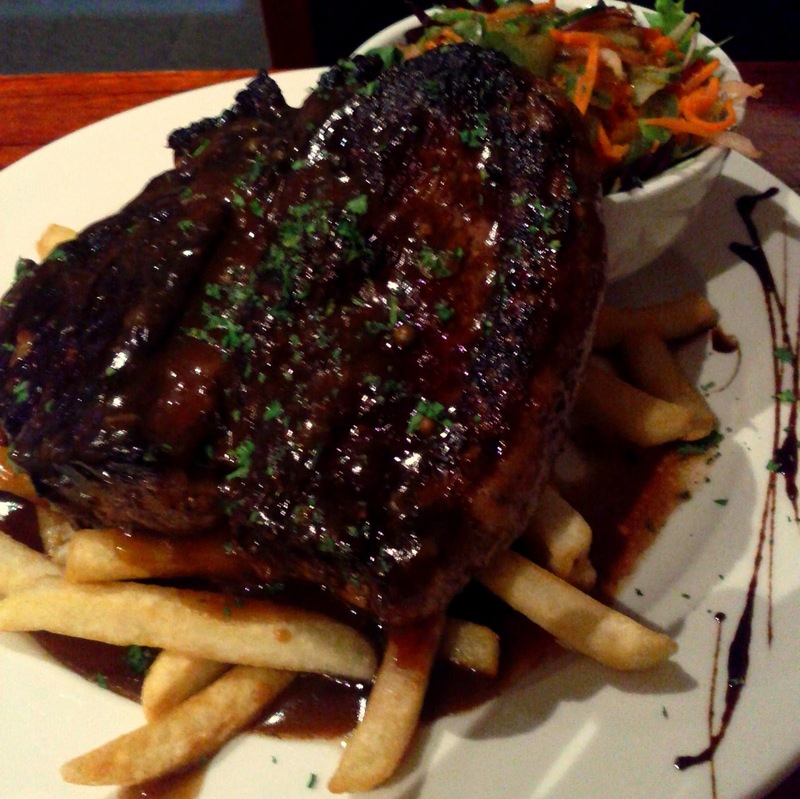 The rump steak was huge! 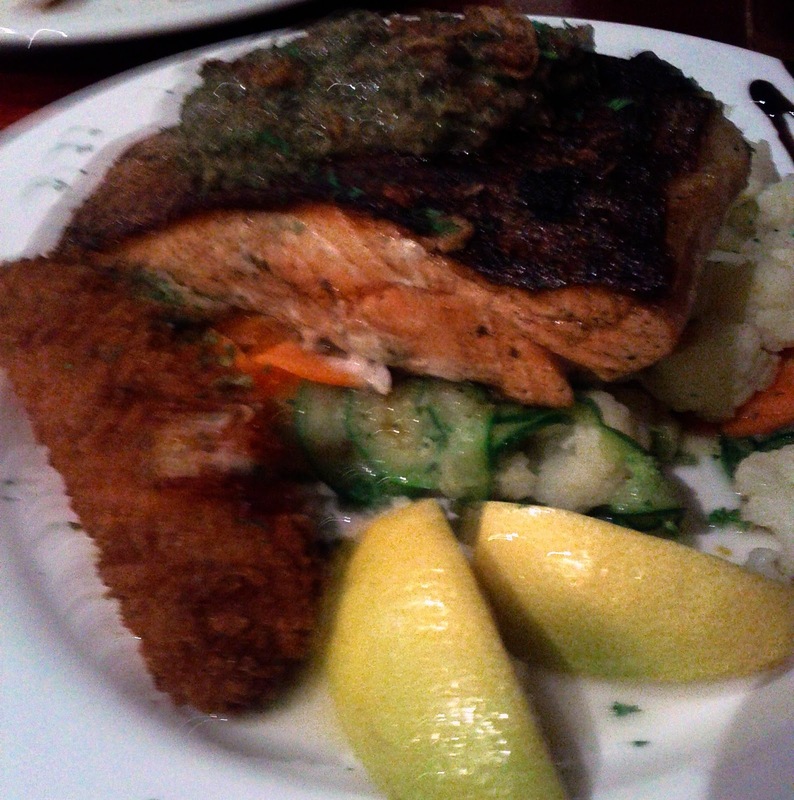 The Atlantic Salmon was also very big, probably the largest cutlet I'd seen, they must have big fish in Gippsland! It also tasted good and I managed to get through it, the veggies were fresh and well cooked too, the giant croquet was a little too cheesy for my taste. The special of lamb shanks again featured two oversized hunks of meat, one of which would normally have been plenty, at least the dog was happy later! 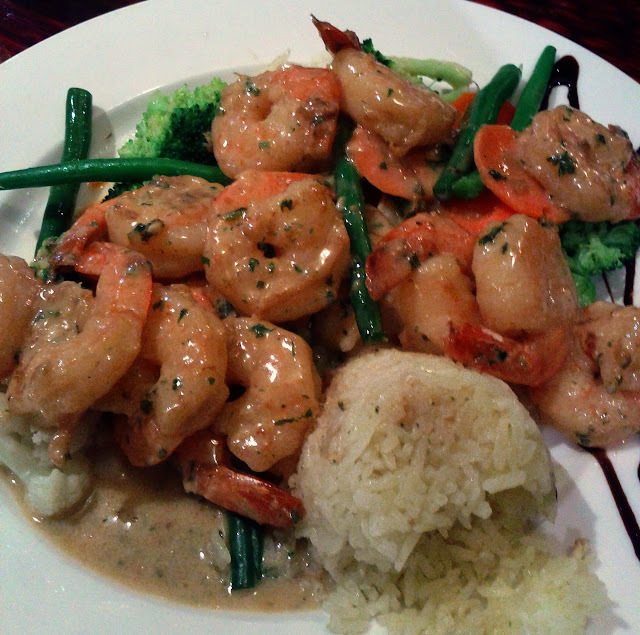 The garlic prawns again had a decent sized serve and plenty of good veggies. The sauce and flavours worked well together and crustaceans were well cooked. 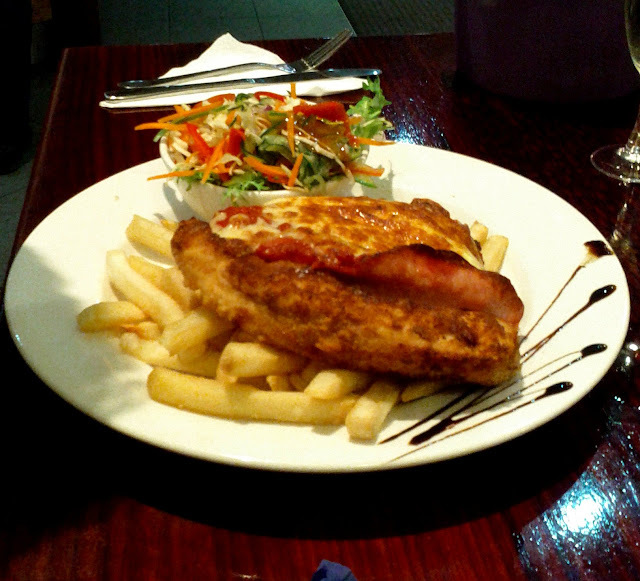 Stu gave the Parma a thumbs up, he regularly has at least one on trips over from NZ. The service is friendly and efficient, despite the pub always being busy. The value for money is outstanding and the food certainly doesn't suffer.